AnimSchool tuition costs are among the lowest in U.S.
More details are also in the AnimSchool Catalog, which you can download here. AnimSchool tuition costs are among the lowest in high-end U.S. animation education. Each program track consists of 7 courses- 3 Prerequisite courses plus Introduction to Maya if applicable and 4 program courses, each course lasting a term of 11 weeks. Prices are listed in U.S. dollars. If students do not pass a class with a C grade or higher, they will be required to retake that class (possibly with a different teacher) at their expense. This will raise the cost of the overall program. There is a one-time application fee of $125, which is non-refundable under most scenarios. An applicant who is denied enrollment into a program is entitled to a full refund of the application fee. See more details about refunds below. Students on the monthly payment option must maintain a valid credit or debit card on the account. Upon acceptance to Animschool, Monthly payment students pay 1 month's tuition deposit which is held on account for the student's final month of classes. Their 1st monthly tuition payment is then due on the 25th of the month before the term begins. Payments will be drawn each month automatically, unless paused or stopped. We at AnimSchool do not want students to not be able to attend due to finances. What could be easier than getting an advanced education from top 3D professionals for $362 per month? Students enrolling in a program track may participate in the AnimSchool Easy-Pay Program. In this program, students take nine months longer to go through the AnimSchool program, but pay only $362 per month for 36 months, beginning three months before classes begin. Three times during the program, the student takes a three month break, called a "recess," during which they continue to pay the $362 per month. During the recess, students continue to access the AnimSchool website and resources. They can attend General Reviews to get help (critiques), access class recordings, and attend drawing classes. They get help from the community and instructors in the forums and student/teacher facebook group. They continue animation or character exercises and prepare for the next term.Students will need to apply for the Easy-Pay program well in advance to begin their three monthly payments before the term begins. See the academic calendar for the cutoff date. If the student wishes to begin immediately, they must pay the three pre-paid portions plus the first month to avoid having to wait for the following term. Note that completing an AnimSchool program this way takes 30 months, nine months longer than the usual 21 months. During that extra time, although students won't have class, they can continue to participate in the school in all those ways mentioned and get help in preparation for their next course. Students are required to set up an eligible repeating payment credit card to apply, express intention to complete the program, and upon any withdrawal from AnimSchool, agree to continue payments until all attended classes have been paid for. 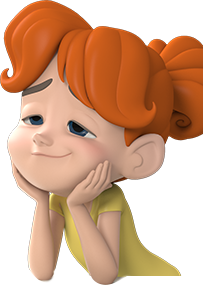 AnimSchool will send the Certificate of Completion only after the complete tuition under the Easy-Pay program is paid. Students may selectively avoid any term recess by pre-paying the additional amounts due during the break. If paid on the Easy Pay Program in 36 installments, an AnimSchool program costs the usual $12,600. (minus discounts) To apply for the Easy-Pay program, apply as a student three months before the term begins, select the Easy-Pay option and agree to the terms of service. Students who desire to withdraw and receive a refund, may receive according to the normal refund policy. * Discounted prices apply to both full program and express (single class) enrollments. Easy Pay option not available to Express (single class) enrollments. In accordance with Utah state law, students can't pay for entire program upfront. After registering for the school and paying the otherwise non-refundable $125 registration fee, students have three business days to change their mind and withdraw from the school. They are then eligible for a full refund of all fees and any tuition paid, including the otherwise non-refundable registration fee. After the three day period, students may withdraw before they participate in AnimSchool classes (including General Reviews and drawing classes) until two weeks before classes begin, for a full refund, minus the non-refundable registration fee. New students must pay before the term begins, in order to enroll. Enrolled students must keep their payments current to maintain status at the school and retain access to the AnimSchool student website and assets. To register in a particular class for the following term, existing students must be current with their tuition. Existing students must pay for the upcoming term by the 25th of the month before classes start. Students who fail to pay within 7 days of that date will be subject to a $35 late fee and have their access restricted to the student AnimSchool website. Students should then call or email the Payments Department, at payments@animschool.com to bring their account current and resume student status. If students need to arrange a different due date, the Payments Department can work with them as long as it is within the seven day grace period. Existing students who fail to pay for the current term must contact the Payments Department and arrange payment to avoid having their AnimSchool account suspended. Students on the monthly payment option must maintain a valid credit or debit card on the account. Monthly payments will be withdrawn automatically on the 25th of each month. If a card is declined during the attempt at processing, the student will be notified by email and they will have seven days to make a manual payment on the AnimSchool website, or be assessed a $35 late fee. If students need to arrange a different date for the automatic payment, the Payments Department can arrange that as long as it is within the seven day grace period. Following the seven days, monthly payment students must contact the Payments Department at payments@animschool.com to arrange payment and avoid having their AnimSchool account suspended. Students on the Easy-Pay program must maintain a valid credit or debit card on the account. Monthly payments will be withdrawn automatically on the 25th of each month. If a card is declined during the attempt at processing, whether during a term or during a scheduled Easy-Pay break, the student will be notified by email and they will have seven days make a manual payment on the AnimSchool website, or be assessed a $35 late fee. If students need to arrange a different date for the automatic payment, the Payments Department can arrange that as long as it is within the seven day grace period. Following the seven days, monthly payment students must contact the Payments Department at payments@animschool.com to arrange payment and avoid having their AnimSchool account suspended. Express students who are taking classes a la carte style, and are making monthly payments, must pay a Class Deposit, which is equal to the monthly tuition payment amount. This deposit is due at the time students register for a class. The first monthly tuition payment will be then be due the 25th of the month before classes start, regardless of the time between payments. The 2nd payment will be due the 25th of the following month, and the Class Deposit will then be credited to the last month of the term. If Express students wish to take another class the following term, they will need to pay another Class Deposit. A $35 late fee will be assessed if any of these payments are not paid within seven days of the payment due date. If students need to arrange a different date for the automatic payment, the Payments Department can arrange that as long as it is within the seven day grace period. Following the seven days, monthly payment students must contact the Payments Department at payments@animschool.com to arrange payment and avoid having their AnimSchool account suspended. The educational package, Autodesk Education Suite for Entertainment Creation, includes Maya, Softimage, Mudbox, and other programs. Instructions for downloading will be issued to program students after admission. Fast "basic broadband" internet access is required. For best results, students need download speeds of 1200kbps. This will allow all students and the teacher to web-conference together in class. At the least, students should have a video stream of the teacher and one student which requires download speeds of 280 kbps and upload speeds of 70 kbps. To find out the speeds you are experiencing on your computer and connection, go to a website such as www.speedtest.net and hit the Begin Test button. A microphone and webcam are required. You need to use a microphone and webcam to talk to the teachers and students. Online classes work best with headphones as well, but they are not required. A webcam is also used to take a picture of drawn assignments, and record live planning for animated scenes.